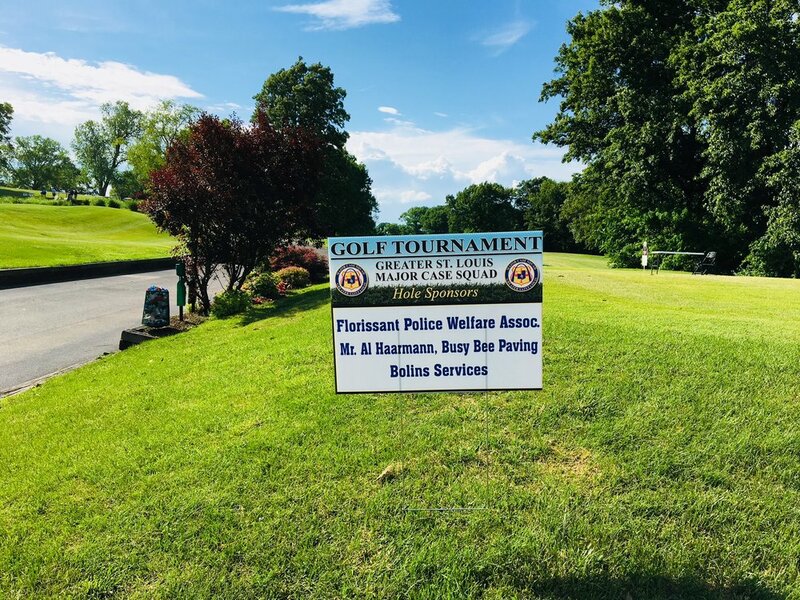 The Major Case Squad’s 2018 Golf Tournament occurred on Friday, May 25, 2018. 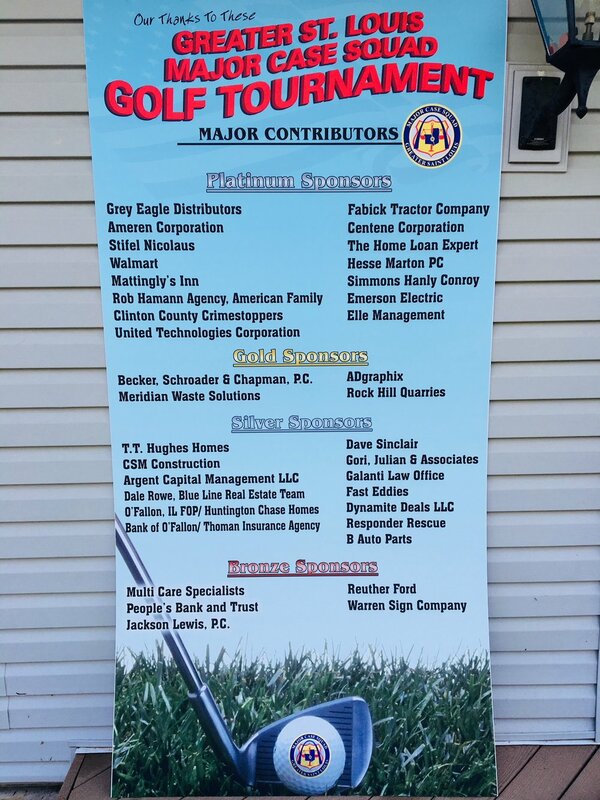 We would like to thank all of our sponsors, participants, and golf committee members who made the 2018 golf tournament a tremendous success. All proceeds of the tournament will go to training for our investigators so they can serve the St. Louis Area even better. 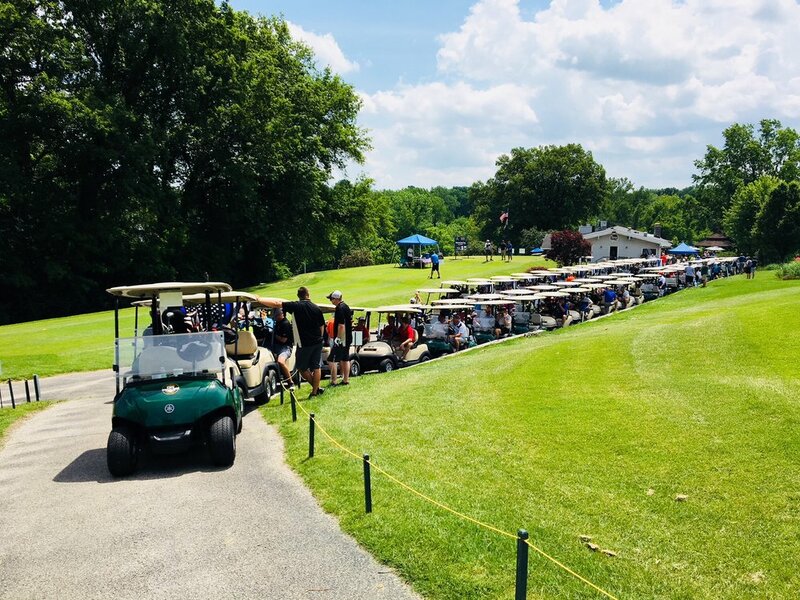 Please continue to check back for information concerning our 2019 golf tournament on May 24, 2019! Wal-Mart Regional Director of Asset Protection Craig Ledbetter, presented investigators and board members of the Major Case Squad with a $3,000.00 donation. For almost 10 years, Ledbetter has orchestrated with O'Fallon Major Case Squad investigators this donation from regional Wal-Mart Stores. The monetary contribution will assist the Major Case Squad with equipment purchases, software updates, and training.